The first thing you notice when you walk into Idaho Parents Unlimited’s new space on Emerald Street is the array of colorful child-sized custom puppets. Some have disabilities; some don’t, and some have hidden disabilities like autism or mental illness. The puppets, created by the Pacer Center in Minnesota, are part of IPUL’s outreach mission to teach children in kindergarten through third grade about inclusiveness. 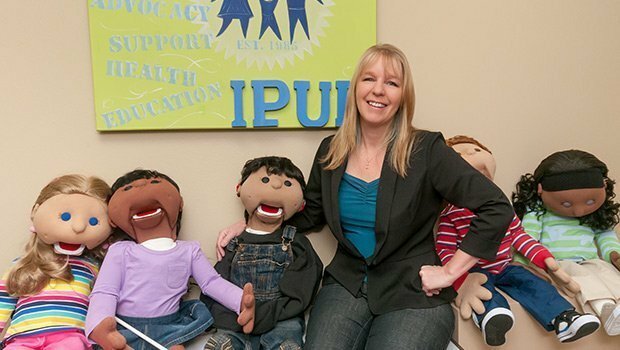 That sense of inclusion—of something for everyone—is what drives IPUL, a statewide organization founded in 1985 to “support, empower, educate, and advocate to enhance the quality of life for Idahoans with disabilities and their families.” It’s also something that IPUL Executive Director Angela Lindig lives with every day. As the parent of three teenagers who all have disabilities, Lindig knows firsthand just how hard it can be for parents to navigate systems of care. The sign that welcomes guests to IPUL is one example of an inclusive art project. Designed as part of an employment pilot program, the sign was created by youth with disabilities. For more information about IPUL’s training workshops, visit www.ipulidaho.org or call (208) 342-5884.